Elite and global competition comes to Windsor next year, with 5* Show Jumping, 4* Dressage, Nations Cup Carriage Driving and 2* Endurance all taking place over the course of the five-day Horse Show which has become the largest outdoor equestrian event in the country. The Show will have a total prize fund of over £520,000 – the largest of any UK outdoor show – which includes €275,000 for the newly introduced Rolex Grand Prix. This will be the largest single prize for a 5* Show Jumping class in the UK. Royal Windsor Horse Show is a highlight of the British equestrian calendar and kicks off the busy summer show season. The 2017 event has been boosted by the announcement of Rolex as a new Official Partner; they join long established partners Land Rover, Laurent-Perrier, DAKS, Hermès, The Dorchester Collection, Musto and Martin Collins Enterprises. In addition to the international Show Jumping on offer, equestrian enthusiasts can also enjoy top-class Showing, with over 140 classes planned into the busy showing programme which includes, newly introduced this year, a Supreme Show Championship. As always, HM The Queen will be keeping a watchful eye on the competition, having had a highly successful 2016 show when she competed her ex-racehorse Barber’s Shop. On Friday 12th May the already established 120km CEI2* Royal Windsor Endurance will take place in Windsor Great Park. 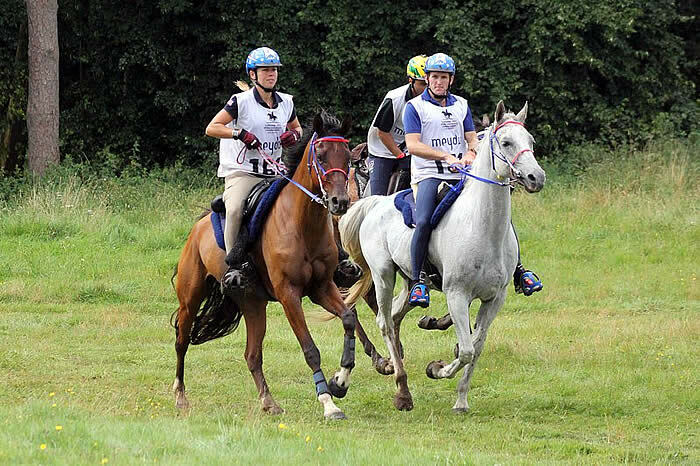 This year, it will be joined by a CEI1* 80km and an Endurance GB 40km ride, all conducted under FEI rules. Furthermore, the Show will again host the Land Rover CAIO4* International Driving Grand Prix, which will take place over four days of the Show and include an FEI World Cup™ Qualifier for the Four-In-Hand class, and will see a welcome return of the Horse Pairs. Evening performances will be back for 2017 with 4* Dressage Grand Prix and Freestyle to Music on Thursday and Friday respectively and 5* Show Jumping on Saturday. All evening performances will include displays from The Household Cavalry Mounted Regiment and The King’s Troop Royal Horse Artillery. Tickets for the show are now on sale and once again, Royal Windsor Horse Show organisers are delighted to offer free admission to all visitors on the opening day of the show, dubbed as ‘Windsor Wednesday’ on 10th May (free tickets must be reserved in advance). Tickets for evening performances can be purchased separately or jointly with day tickets and there are options to reserve grandstand seating in prime positions. The general admission ticket price for adults on Thursday 11th May is £17.00 and £20.00 on Friday 12th May. On Saturday 13th May and Sunday 14th May showground entry is £27.50 for adults and £14.00 for children. There are discounts for group bookings and concessions as well as family value tickets for two adults and three children for £70 on either Saturday or Sunday. For those seeking a more exclusive experience at Royal Windsor, packages are now also available to purchase offering access to the Members Enclosure or the new Windsor Enclosure. The premium Members Enclosure has seating alongside the Royal Enclosure, a Members restaurant, bar and terrace all of which overlook the main Castle Arena. The Windsor Enclosure is a new introduction to Royal Windsor and provides an enclosure with a bistro, bar and lawn on the north-east end of the Castle Arena and pre-booked seating in proximity to the Royal Enclosure. All tickets can be purchased at www.rwhs.co.uk or by telephoning the box office on 0844 581 4960 from the UK and +44 (0)1753 743589 internationally. The Show will take place from 10th-14th May 2017. Over 55,000 visitors are expected to attend the Show which offers its audience an extensive programme of first class equestrian competition and displays in 5 arenas. The displays in the main Castle Arena include The Musical Ride of The Household Calvary Mounted Regiment, The Musical Drive of the King’s Troop RHA, The DAKS Pony Club Mounted Games and The Shetland Pony Grand National. As well as the equestrian competitions and activities, there are over 220 shops in the Shopping Village, with a wide range of products for sale, from jewellery and fashion, to food and drink. Her Majesty the Queen has attended every year since it started in 1943 and it is the only time of the year that the private grounds of Windsor Castle are open to the public. Royal Windsor Horse Show is organised by HPower Group, also organisers of Olympia, The London International Horse Show www.hpower.co.uk. Lausanne (SUI), 9 October 2016 – After a second place finish on the podium in 2015, Bulgaria’s Denis Furlanski captured individual gold riding Moz in the 100km FEI Balkan Endurance Championships 2016 at Velika Pisanica in eastern Croatia. They left for the second loop at the same time, but Furlanski and the 10 year-old Shagya gelding pulled ahead and completed the ride in the afternoon sun in 04:54:28 with an average speed of 20:376 km/h. Greece took home team bronze finishing in 21:53:53 with Viktoria Schoina on Koheilan XIII 16 SALA, Irini Mitona on Aphroditi and Sotirios Patisouras on Sheikh, who finished 10th, 11th and 12th, in that order. *Full results will be available in the FEI results database in due course: https://data.fei.org/Calendar/Search.aspx. Nègrepelisse (FRA), 24 September 2016 – Smart riding brought Sabrina Arnold (GER) and Tsagan Nour to the top of the podium at the FEI World Endurance Championship for Young Horses (7 years) in Nègrepelisse, France. The 120km Championship, which finished with an all-female 1,2,3 Friday afternoon, with Arnold and Tsagan Nour galloping over the finish line in a time of 05:59:04, culminated in the prize giving. After starting the second loop in 10th position after a 2-minute recovery in the first hold, Arnold was assured that her mount was doing well with the trail conditions. Continuing with good recoveries, the duo was able to move up in the finish order on each loop and took possession of the ride on the final loop to emerge victorious. These annual FEI World Endurance Championships for Young Horses, first held in Compiègne, France in 2001, are an important foundation ride for future champion horses as they mature. Lausanne (SUI), 17 September 2016 – In a day of weather that changed as often as the ride leaders, Spain’s Jaume Punti Dachs captured individual gold and led his compatriots Alex Luque Moral and Angel Soy Coll to the team title at the Longines FEI World Endurance Championships 2016 in Samorin (SLK). See final Longines FEI World Endurance Championships 2016 scores: www.wech2016.com. Lausanne (SUI), 15 September 2016 – A record 46 nations will contest the Longines FEI World Endurance Championships 2016 this Saturday (17 September), with the world’s top Endurance athletes already on-site at Slovakia’s state-of-the-art Šamorín Equestrian Centre, brain-child of Slovakian businessman Mario Hoffmann. Saravia and the grey mare SM Dhanderiega, her winning ride in Buenos Aires, will be flying the flag for the seven South American countries at these Championships, challenging the world’s most seasoned Endurance athletes for a podium spot. The United Arab Emirates claimed team gold and all three individual medals at the Longines FEI World Endurance Championships 2012 in Euston Park (GBR), as well as team, individual silver and bronze at the Alltech FEI World Equestrian Games™ 2010 in Lexington, Kentucky (USA). HH Sheikh Hamdan Bin Mohammed Al Maktoum, Crown Prince of Dubai, who took individual gold at the Alltech FEI World Equestrian Games™ 2014 in Normandy (FRA), team gold in 2012 and individual bronze in 2010, will lead a team of five at this year’s Championships in Šamorín, including 2010 and 2012 fellow team member Sheikh Rashid Dalmook Al Maktoum. Spain’s Endurance “armada” is also looking formidable for these Longines Championships. Maria Alvarez Ponton, current world Endurance number one – who famously won individual gold at the Alltech FEI World Equestrian Games™ 2010 seven weeks after giving birth to Maria, the first of her two daughters, and in doing so became the first Endurance athlete to hold both World and European titles at the same time – will be competing with her husband and Alltech FEI World Equestrian Games™ 2014 gold medal winning team-mate Jaume Punti Dachs. He last led Spain to team gold at the FEI European Championships in Šamorín in October last year. They are joined by their 2015 European Championships team member Alex Luque Moral, 2009 European Championships team gold medalist Silvia Yebra Altimiras and Angel Soy Coll, who finished second at the Spanish Endurance Championships in Badajoz in April of this year. France, who celebrated double Olympic success in Rio with team golds in Eventing and Jumping, will be bringing their samba passion to Šamorín. Jean Philippe Frances, who led France to Endurance team silver at the Alltech FEI World Equestrian Games™ 2014, and to silver again at last October’s European Championships where he also won individual bronze, will lead a team of five. His successful partnership with 10-year-old gelding Secret de Mon Coeur (Secret of my Heart), which claimed the Best Condition award at last year’s European Championships, will continue in Šamorín. “We have the best Endurance athletes on the planet competing in the Longines FEI World Endurance Championships on Saturday,” said FEI Endurance Director Manuel Bandeira de Mello. “The world’s top Endurance athletes get to compete at this level only every two years, at either the World Endurance Championships which coincide with the Olympic cycle, or at the FEI World Equestrian Games. 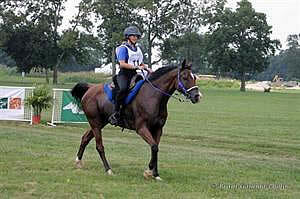 Definite entry list: http://inside.fei.org/fei/events/championships/endurance/2016 (see “list of entries” section). Opening Ceremony on FEI YouTube Channel: http://bit.ly/2cK3zps – 15 September, starting at 20.00 local time. Live FEI TV action on www.feitv.org – 17 September, from 05.50 local time. Lexington, KY – On Saturday afternoon, dressage riders competed for their Freestyle Individual medals in the Rolex Stadium at the 2013 Adequan/FEI North American Junior & Young Rider Championships presented by Gotham North (NAJYRC). Ayden Uhlir (Region 6) and Sjapoer won their second Individual Gold medal of the week in the Young Rider division. Laurence Blais Tetreault and Lowelas also won another Gold medal in the Junior division. 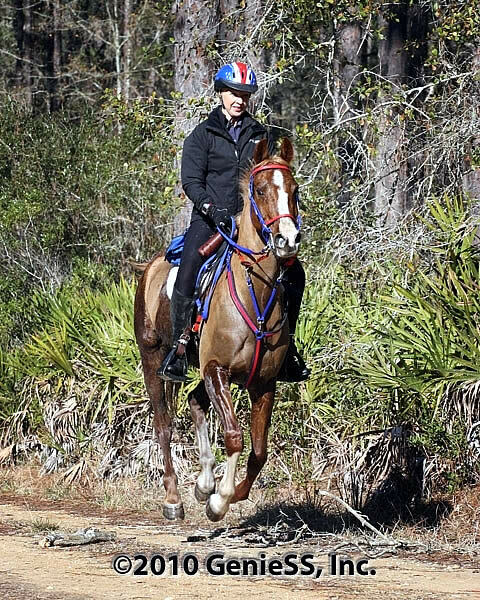 Endurance riders competed in their 75-mile race yesterday, and it was Cassandra Roberts (Team USA Southeast) who won the race for the Gold medal with Viktory Banner. The USA Southeast team took Gold in endurance. The top 15 Individuals advanced to the Freestyle Championship today and were judged by Bernard Maurel (FRA) at E, Linda Zang (USA) at H, Jane Ayers (USA) at C, Martin Richenhagen (GER) at M, and Annette Fransen-Iacobaeus (SWE) at B. The highest score of the day went to Ayden Uhlir (18, Kirkland, WA) and Sjapoer, her 14-year-old KWPN gelding by Contango. They had judges’ scores of 74.000% at E, 68.375% at H, 73.625% at C, 73.625% at M, and 71.250% at B for a total of 72.175% and the Gold medal. Jamie Pestana (20, Livermore, CA) and Winzalot had another Silver medal performance with a score of 70.975%. Their scores were E: 66.625%, H: 70.250%, C: 70.750%, M: 74.750%, and B: 72.500%. Her pop rock music included tracks from Nickelback, Pink, and the Slumdog Millionairesoundtrack. “It really clicked with Winzalot; he kind of picked the music for me,” she said. The Bronze medal went to Tanya Strasser Shostak (18, St. Adele, QB, CAN) on Action Tyme, a 13-year-old Oldenburg stallion by Aktuell with a score of 70.500%. Their judges’ scores were E: 68.500%, H: 72.875%, C: 70.250%, M: 73.000%, B: 67.875%. Action Tyme has been competing at the Grand Prix level for years with Tanya’s mother, Evi Strasser, and it took time and convincing for Tanya to get the ride on him. They became a pair just two months ago. In 2012, Laurence Blais Tetreault (16, Montreal, QB, CAN) was the Junior Freestyle Gold medalist, and while she was on a different horse this year, she was able to repeat that accomplishment. Riding Lowelas, a 13-year-old Trakehner gelding by Hockey 41, she scored a 71.525% for the win. Her judges’ scores were E: 69.750%, H: 70.875%, C: 72.750%, M: 73.375%, and B: 70.875%. The judges for the Junior class were Mercedes Campdera (MEX) at E, Joan Macartney (CAN) at H, Janet Foy (USA) at C, Axel Steiner (USA) at M, and Bo Jena (SWE) at B.
Tetreault chose her music and put it together with her sister Mathilde, who competed here as a Young Rider. Naima Moreira Laliberte (16, Montreal, QB, CAN) and Windbreaker 3, a 12-year-old Westphalian gelding by Windspiel As, were also competing with little experience with their Freestyle music due to their three-month-old relationship. Laliberte had chosen her music for another horse and found that it matched with Windbreaker 3. Barbara Davis (15, Bedminster, NJ – Region 1) rode to her first NAJYRC medal in her first time at NAJYRC with Rotano, her 12-year-old Hanoverian gelding by Rotspon. Their score of 69.875% gave them the Bronze medal. Her judges’ scores were E: 70.875%, H: 69.500%, C: 69.250%, M: 70.250%, B: 69.500%. Four teams were fielded for this year’s endurance race and it was a great opportunity for young riders to experience the FEI competition and what they can do for their country in the future. Leading the Gold medal-winning team for the USA Southeast was Cassandra Roberts (16, Bronson, FL) on Viktory Banner, who also won the Individual Gold medal with a winning time of 6:19:31. The Individual Bronze medalist was also on Team USA Southeast. Heleen deBeer (19, Atlanta, GA) and DCL Mooi Penny finished in 8:19:22. Although she was born in South Africa, deBeer has lived in the United States for 12 years. She has been riding DCL Mooi Penny for two years. “Penny is a very sensitive, loving mare to her riders. She is a delicate mare with a lot of staying power and fantastic heart rate recoveries,” deBeer said. They were joined by Taylor White (15, Camden, SC) on Hoover the Mover with a time of 9:08:10, as well as Katie Baldino with Reminisonce +/ and Mallory Capps (19, Atlanta, GA) with Masterpiece Vlad. The USA Southeast had a team time of 23:47:03. The USA Southeast Chef d’Equipe, Ann Stuart, was excited to see more riders compete in Endurance at NAJYRC this year. “I really appreciated it because a lot of us are getting older. We were looking around a few years ago wondering who was going to come up and ride in endurance races. We have an incredible squad. We filled in gaps in other teams. We’re lucky in Southeast to have so many riders; I’m really encouraged about that. They had great attitudes,” she said. Emma Webb (19, Flesherton, ON, CAN) from Team Canada was a double Silver medalist with Vagas. She led the team with a time of 7:29:40. Jessica Yavis (17, Winfield, AB, CAN) and Jahlad (8:33:11) and Jaylene Janzen (20, Edmonton, AB, CAN) on Sakic (9:42:51) helped their team finish second with a total team time of 25:45:42. The Bronze Team medal went to USA Northeast Combined with a team total time of 26:49:48. Michael Bishop (16, Raleigh, NC) and TEF Sunflash had a time of 8:33:14 to lead them, while Forest Green (16, Star Tannery, VA) and LR Amana Tabi finished in 9:08:15. Just behind him was Maria Muzzio (15, Fairfax, VA) on Khlil Asam in 9:08:19, and a split second behind was Hunter Green (15, Star Tannery, VA) and DJB Braveheart, who finished in 9:08:20. Sydney Sumrall (16, Atlanta, GA) and DCL Mooi Koedoe were also part of the team. The Adequan/FEI North American Junior & Young Rider Championships presented by Gotham North conclude tomorrow with the Stadium Jumping phase for Eventing, which will determine the Team and Individual medals for CCI1* and CCI2*. NAJYRC showcases the best young rider and junior horse/rider combinations in dressage, eventing, jumping, reining, and endurance. Young equestrians from across the continent will descend on the Kentucky Horse Park to vie for FEI medals at these Championships. For sponsorship information, visit www.youngriders.org/Sponsors.aspx. Lexington, KY – The United States Equestrian Federation (USEF) has elected a new Endurance Eligible Athlete Committee. For further information regarding the USEF High Performance Endurance Program, visit: http://usef.org/_IFrames/breedsDisciplines/discipline/allEndurance.aspx. For additional information, please contact Vonita Bowers via email at vbowers@usef.org. Lexington, KY – The United States Equestrian Federation (USEF) is pleased to announce the winners of two prestigious awards in the discipline of Endurance, the Maggy Price Endurance Excellence Award and the Brunjes Junior/Young Rider Trophy. The awards will be presented at the USEF Horse of the Year Awards gala and dinner on Friday, January 18, 2013 at the Louisville Marriott Downtown in Louisville, Kentucky. Lexington, KY – Pending final FEI approval, the Adequan/FEI North American Junior & Young Rider Championships presented by Gotham North (NAJYRC) will once again be held at the Kentucky Horse Park in Lexington, KY. The annual competition will be held July 17-21, 2013. The United States Equestrian Federation (USEF) has received preliminary approval for these dates and location and is awaiting final allocation from the FEI Bureau. In 2013, the NAJYRC again hosts championship caliber competition across five disciplines. In the Olympic disciplines of dressage, eventing and jumping as well as the Western discipline of reining, champions will be crowned in both Junior and Young Rider divisions. Endurance, which is included as a championship for the third time, offers an FEI championship for Young Riders. This is the fifth consecutive year that the NAJYRC will be held at the Kentucky Horse Park, the site of the 2010 Alltech FEI World Equestrian Games. 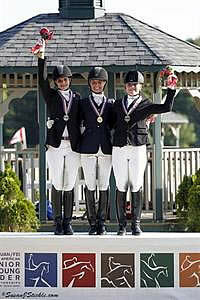 For more information regarding the 2013 Adequan/FEI North American Junior & Young Rider Championships presented by Gotham North, visit: youngriders.org. Lexington, KY – The United States Equestrian Federation mourns the loss of a great competitor and ambassador for equestrian sport. Kathy Brunjes passed November 1, 2012 following a courageous battle with cancer. In addition to being a renowned competitor, Brunjes participated in governance of the sport as a member of the USEF Board of Directors since 2007. She served on the Youth Sports Committee, the Administration and Finance Working Group, the Endurance High Performance Committee and was the chair of the Endurance Eligible Athletes’ Committee. Brunjes was also active within the American Endurance Ride Conference as a former chair and as a member of the International Committee.